While conducting an Early Diversion site visit in Connecticut on January 14, 2015, Brian and I parked next to a vehicle with license plates that read, “CIT MOM.” As soon as we saw the license plate, we knew we had to find out more about the car’s owner, and hoped that they would be present at our site visit. As the site visit approached the late morning break, Brian and I asked about the license plate and came to learn that Louise Pyers, the Connecticut NAMI Criminal Justice Coordinator, CABLE Executive Director, and Crisis Intervention Team (CIT) Trainer for the Connecticut Department of Mental Health and Addiction Services was the proud owner. Louise shared her story of how the license plate came to be, explaining that one time she was setting up for a CIT Training in Connecticut and her husband was assisting her by unloading materials from her car. Her husband remarked how young the officers attending the CIT training looked, to which Louise replied that she was old enough to be the mother of many of them. 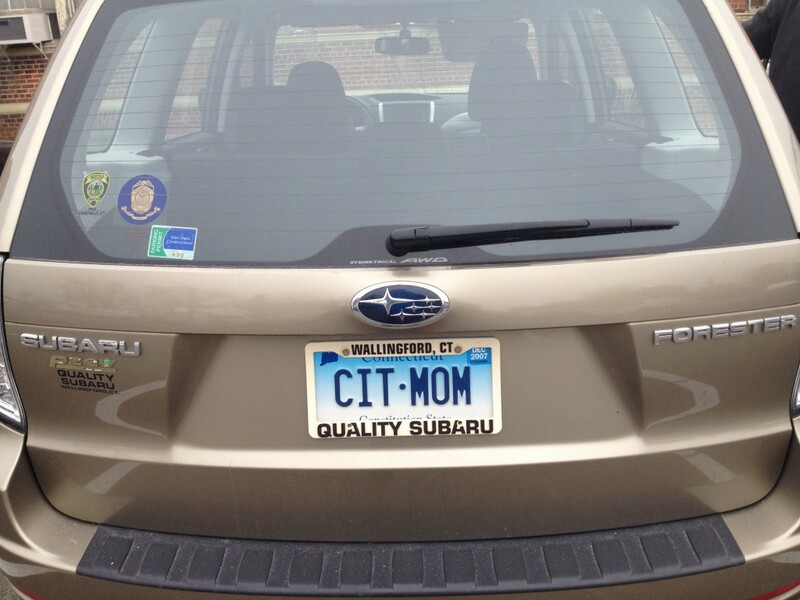 Louise’s husband then reportedly dared her to get the “CIT MOM” licenses plates and she took him up on it! From Louise’s description of the story, it didn’t sound like her husband had to even “triple dog dare” her!